In just a few weeks, NASA will launch the most advanced laser of its kind, marking the start of its mission to monitor changes in the depths of Earth's polar ice caps — in 'unprecedented detail', as the space agency describes it. The new satellite, named 'Ice, Cloud and land Elevation Satellite-2 (ICESat-2)', will be launched on 15 September at 6:16 pm IST from the Vandenberg Air Force Base in California. The satellite will capture data from the Earth's poles about the seasonal and annual changes in land-ice elevation. It will do this at a mind-boggling rate of 3.6 million readings a minute, or 60,000 readings a second. The ICESat-2 project is an extension and upgrade to the space agency's 15-year record of polar ice heights — taking over from the Operation IceBridge that began in 2009, replacing the first ICESat mission that was started in 2003. 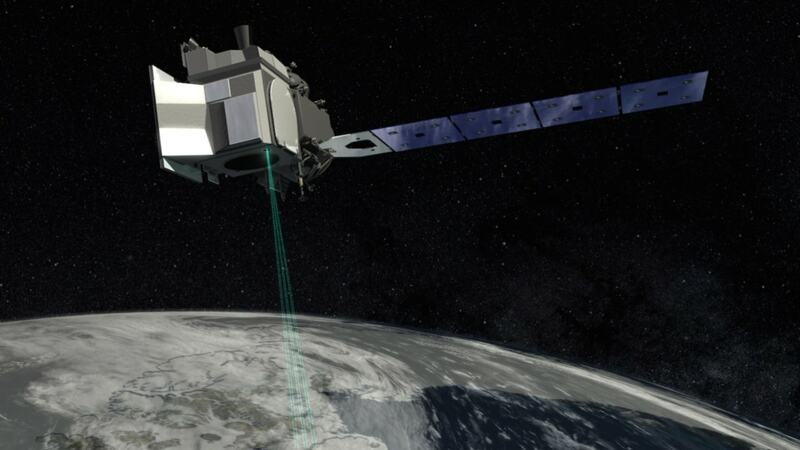 The new and improved ICESat-2 has a much higher degree of accuracy, rendered by its Advanced Topographic Laser Altimeter System (ATLAS) to measure ice height using the time it takes for a photon to reflect off the bottom of the ice-bed and return to the satellite's detectors. It will fire as many as 10,000 such photons every second in green laser light, collecting elevation data from the photons' roundtrip to an accuracy of one-billionth of a second. ICESat-2 will orbit the Earth flying over both poles and measure the polar ice height along its path — for both seasonal and annual variations — four times each year. The researchers hope that the data collected will reduce the uncertainty in sea level forecasting, as well as support data for climate change studies. When not observing the poles, the satellite is also tasked with measuring ocean and land surfaces — even forests, using comparisons of the tops of trees vs the ground — and provide scientists with useful estimates of forest densities and how much carbon is stored in them. Other societal needs that the satellite is capable of meeting, according to NASA, include measurements of snow and heights during floods and droughts, understanding wildfire behaviour, navigation and the condition of sea ice. "Because ICESat-2 will provide measurements of unprecedented precision with global coverage, it will yield not only new insight into the polar regions but also unanticipated findings across the globe," said Thorsten Markus, an ICESat-2 project scientist at NASA Goddard to the press. "The capacity and opportunity for true exploration are immense."